At the refreshingly different estate agency Streets Ahead, we believe in helping you move, and this means going far beyond the service offered by most estate agents. It all starts with the amount of time, commitment and personal accountability, which we invest, in our valued clients. We won't simply rush in, measure up, stick pictures of your property in our window and hope for the best. We will take the time and trouble to understand all relevant aspects of your situation and then we will work with you to achieve what you want. This may well be the highest price possible, the fastest sale, the most discreet sale, finding the right person for your treasured home, or you may simply want to dip your toe in the water and test the market. Whatever your motivation to market your property, we understand, we are highly flexible, and we are on your side. 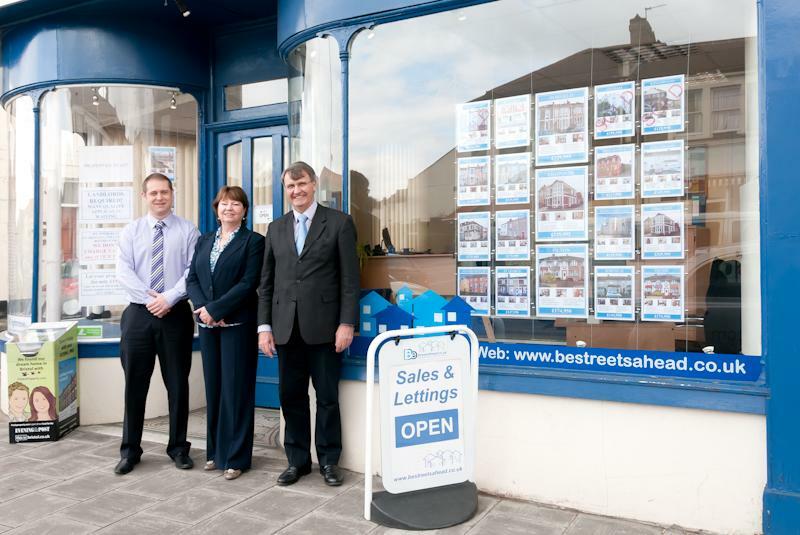 We handle all negotiations, arrange viewings, help with conveyancing and will manage your sale through to completion. We will be with you every step of the way. Contact us now for a free no obligation valuation or visit our website. We are a professional and experienced team living in Bristol looking to provide you with a competitive, but personal service. We have extensive knowledge and experience of selling property throughout Bristol and the surrounding area and have been successfully involved in the estate agency business for over 25 combined years. When you contact our company you will speak to one of the directors, we care about our business and our clients. Properties between £169,000 and £425,000 at time of writing. Lettings Management Fee starts at only 10%. We use a professional referencing agency ensuring a thorough background search of your tenants including a credit check and with our popular Rent Guarantee Scheme now included for free, you can have peace of mind knowing we have found the most suitable tenant possible to look after your property and your rent is guaranteed to be paid!